Hello! 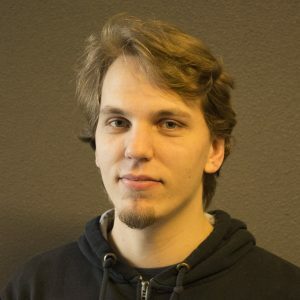 My name is Hielke Morsink, I am a Game Programmer from the Netherlands. I’m a graduate of IGAD at the NHTV University of Applied Science in Breda, where I studyied game programming. From an early age I’ve always been interested in computer science, always trying out to figure out how things were made, and finding their limits. At an age of 13 I started with web development. One of the first projects was making my own website, a fan site about RollerCoaster Tycoon. I used it to share my works, show some tips and tricks, and hosted a forum that became moderately populated. The website was the start of what got me into programming. For the website it was mostly HTML, CSS, PHP, SQL, and some JavaScirpt. While web development is nice, I wanted to know how to make programs that run locally on a computer too. That’s when I found out about programming languages such as C++, compilers and the tools. I found it difficult at the time. Compared to PHP, the errors and warnings were hard to understand. It also didn’t help that my English wasn’t the best yet. After high school, I started a study at ROC A12 in Ede, officially called Application Developer (Game), though it was game programming for the most part. Here I learnt about object orientated programming, and how games get created. After this study, I enrolled for a higher leveled study with the same subject, game development, and a specialized branch for programmers. I very much enjoyed my time there, learnt a lot of things and it helped me by pushing me in directions I wouldn’t have thought of myself. This study helped me become a much better programmer. Even now, I still learn new things every day, and I’m always eager to learn more.